Belligerent liked to think that he could save himself, and when he realized he couldn’t, he liked to think that nobody could save him. Sieve was a man defeated by hubris, for he had no pride in himself. Mondegreen was but a memory and a hope—Porphyry a girl destined for tragedy. Perfidious was a man who preferred being broken, and Sam was just a man. Mr. Wight—the mysterious Mr. Wight—who is to say what he was—or is? These are the people who resided beneath a broken sky, and this is the story of their travels. Dillon Mee and his wife Brittany Mee currently live and teach in Beirut, Lebanon. 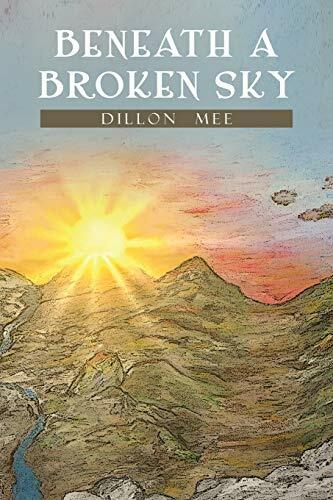 While attending the University of California, Berkeley, Dillon majored in Linguistics, which fundamentally altered his perception on the nature and value of language. As an English teacher, Dillon has continued to enjoy words. Raised as a Christian and an expatriate, redemption and traveling are familiar themes to which he has clung. Somehow, all of these things put together—and many things besides—have culminated in the creation of this novel: a rendering of men’s travels in a world beyond their ken.